Saskatoon Police made the request for independent oversight immediately after the shooting of a 27-year-old man on Dec. 22. The man was said to be distraught and threatening to harm himself and officers. Saskatoon Police Service (SPS) will investigate its own officers' actions during the fatal shooting of a man last month, but the probe will be scrutinized by an independent investigation observer. On the night of Dec. 22, Saskatoon patrol officers opened fire on a 27-year-old man who was reportedly armed with a handgun and threatened to harm both himself and officers. 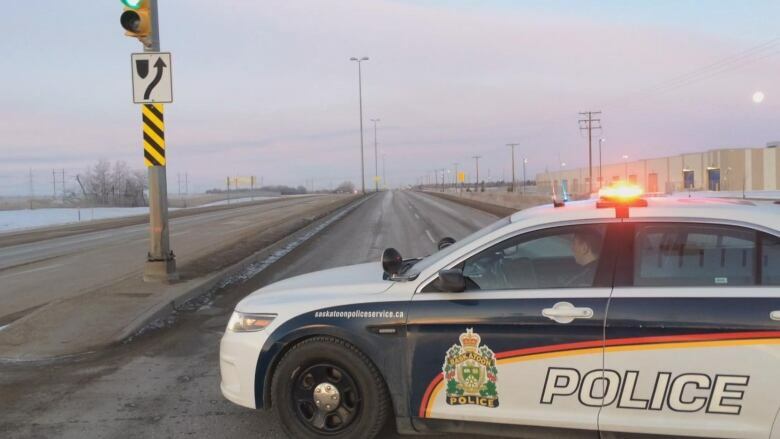 The incident happened on the outskirts of the city and also involved RCMP officers, who followed the man to Saskatoon from nearby Warman, Sask. Saskatchewan's Ministry of Justice has appointed an investigation observer to oversee the internal probe, which is being handled by Saskatoon's major crimes section. Saskatoon police requested independent oversight immediately after the shooting. Observers are typically ex-cops with experience investigating major crimes. Their reports to the ministry are confidential. The observer appointed to review the Dec. 22 shooting investigation is not an ex-member of the Saskatoon Police Service, according to the ministry. Meanwhile, the RCMP is saying little about the incident, referring questions to Saskatoon police. "It is their incident. The incident happened in their area of jurisdiction and with their officers," an RCMP spokesperson said Monday. Saskatoon police said its officers were first told about the distraught man by Warman RCMP officers before 8 p.m. CST that night. 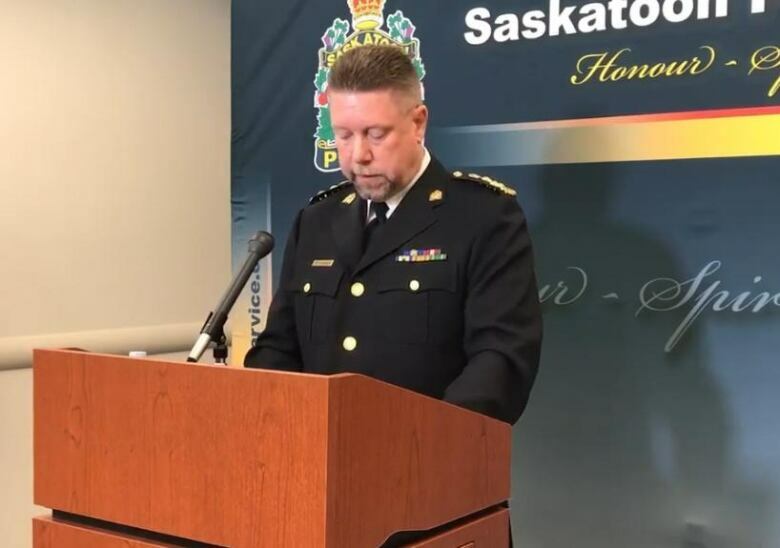 "He was reported to be driving a vehicle headed toward Saskatoon," Saskatoon Police Chief Troy Cooper said at a press conference the day after the shooting. 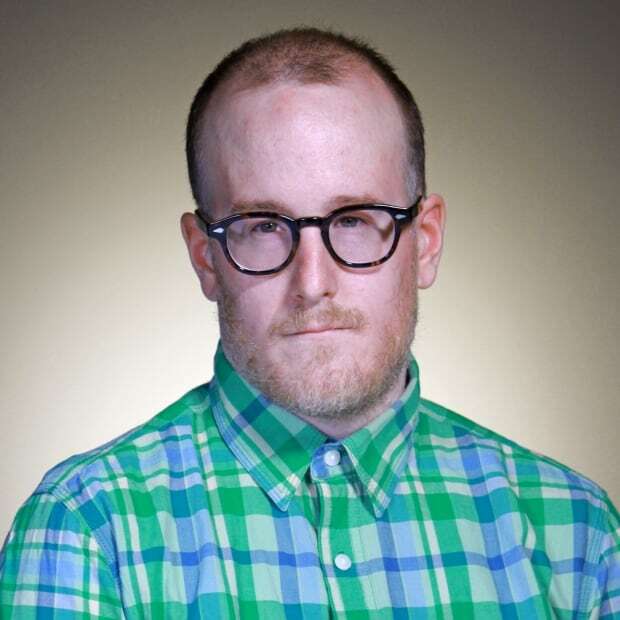 "Throughout the incident, the adult male had been in contact by phone with several individuals, including members of the SPS crisis negotiation unit," Cooper added. At some point before 9:20 p.m. CST, RCMP used a tire deflation device that partially disabled the man's vehicle near the intersection of Dundonald Avenue and Valley Road. "Members of SPS Patrol simultaneously responded to the scene," according to a Saskatoon police news release. "SPS and RCMP members encountered the adult male who refused to comply with officer commands and fired his gun. Officers perceived a threat and engaged." It's not clear whether officers from both police agencies fired on the man. The RCMP has issued no statement on the incident. The man was pronounced dead after being taken to hospital. No Saskatoon police officers sustained physical injuries during the encounter. "I'd like to express my condolences to the loved ones of the family of the man who was involved in last night's incident," Cooper said. The Saskatchewan Coroner's Service completed an autopsy on Dec. 27. "The service is unable to provide any additional information until the autopsy results are reviewed and the related tests are completed, which can take at least six months," said a spokesperson for the Ministry of Justice Monday. Saskatoon police said the man's identify won't be revealed at the request of his family. Saskatchewan has no civilian oversight agency to investigate cases involving police and civilians that end in serious injury or death, such as Ontario's Special Investigations Unit or the Alberta Serious Incident Response Team. Lawyers and families participating in past coroner's inquests have called on Saskatchewan to create such an agency.